While new installations are a primary part of the services we provide, we are available to private owners and city and state municipalities for all of their one time or recurring maintenance needs. 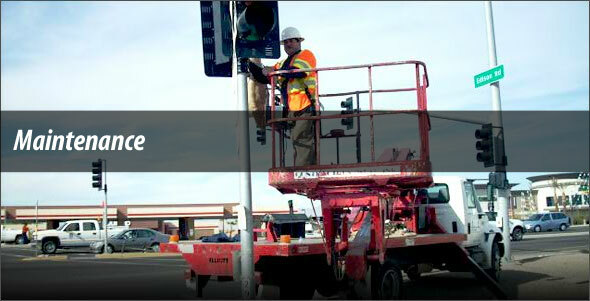 As expert electrical contractors specializing in the areas of traffic signals, street lighting, fiber optics, airport lighting and more, we can keep our equipment in working order to ensure consistency and excellence of performance. Traffic signals, street lighting, fiber optics used on roadways and airport lighting are vital to the flow of traffic and the safety of citizens, and need to be in working order at all times. Working with you we will address emergency situations in a timely fashion or create an ongoing maintenance schedule, depending on your needs. Contract Contractors West, Inc. today, and let’s discuss your maintenance needs and our expertise and affordability in those areas.